Between the years 800 A.D. and 1130 A.D. something amazing happened in northwestern New Mexico. 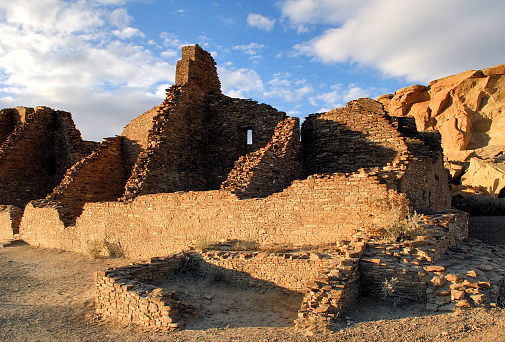 Without wagons or horses, no metal tools, and before the arrival of Columbus in 1492 or prairie tribes regularly migrated across the plains, a city existed in a place called Chaco Canyon. This small city (and the network of buildings and hubs) created architecture as high as five stories with trade networks stretching down deep into tropical Mexico. It was inhabited year round and included storage, ovens, living quarters, and plenty of protection from the high desert winter (the elevation is above 7,000 feet in most areas). Most amazing, the architecture involved using load-bearing timbers placed with an experienced eye and allowing multiple-level building structures made of three-feet-thick stacked, stone slab. It was not an accident how this ancient city was built and sustained. The persistence of the ancient Chaco Canyon residents is an even more surprising fact. Many of the timbers and logs involved in the construction of the homes came from far away. The typical plant growth in the area of Chaco is essentially shrub brush and desert flora. There are no trees or forests. Further, the entire Canyon area is surrounded by mesas that are easily five to ten stories high. They are not at an easily climbed elevation out of the Canyon. In fact, the only flat exit out of the Canyon area is to the south, miles away. So how did all the timbers get there in the first place? Persistence. The residents of Chaco walked the timbers from up to 75 miles away from where trees and forest grew. Without horses, wagons, or any easy transportation, the residents of Chaco walked and imported every building material from the outer region fifty to one hundred miles away. Businesses today are often swamped with offers and promises that the next big technology, motivational program, computer hardware, commercial vehicle, or transportation plan will transform their company and produce huge new market rewards. While there’s plenty of sales language involved, the real fuel that helps businesses break through challenges and grow more is pure, old-fashioned persistence. Things are easy when the elements of business are cooperating; what matters is what helps the business sustain itself and continue to succeed when times are tough. Persistence is a skill that intelligently keeps things going when resistance occurs and requires smart thinking and ingenuity. Managers and leaders are frequently faced with problems and not enough resources; it’s rare that a business leader gets to deal with a problem with the ideal amount of resources available. However, persistence shouldn’t be confused with being stubborn and banging one’s head against a wall needlessly. Persistence is focused but also capable of being redirected to work around an obstacle instead of only through it. The people of Chaco Canyon are long gone, having stopped building their city by 1130 A.D. likely due to a serious drought and lack of any more resources being available. However, what they did produce for 300 years required consistent dedication in extreme conditions. Business leaders can take a lesson from history in what these early people accomplished. They figured out how to solve a problem and thrive in a desert environment that would otherwise work against them. Managers and company owners have to find a way to get above the weeds when faced with problems and define clear paths. It’s not easy, but persistence is what makes the impossible very possible. We’ve written extensively in the past about how when it comes to digital and print marketing, you’re not looking at an either/or proposition. Often, businesses of all sizes are finding great success embracing the best of both worlds – reaching out to the customers who are most receptive to print channels via traditional methods and using digital resources when they’re most appropriate. We’ve even written about how you can take the lessons learned online and use them to make your print strategies even stronger. We’re not the only people who share this opinion; it would seem. Facebook has recently launched a mixed marketing portal designed to make it easier than ever for businesses to compare Facebook-based advertisements to television, print, and other types of collateral. While this does mean big things for people using Facebook as an advertising platform, what it means for print marketers is even more interesting. The social networking giant’s mix modeling portal for marketers is a significant extension of an existing partnership. Over the course of the past few years, Facebook has teamed with Nielsen (the people who tell you how many people watch the Super Bowl each year, among other things), comScore (the people who focus on digital, TV and movie analytics), DoubleVerify (a company that aims to “authenticate the quality of each digital media impression”), and others. This has all been done to provide clear metrics on how far a Facebook ad reaches, how many impressions it gets, its ultimate performance, and more. For advertisers that rely heavily on Facebook, this means that they now have access to twenty-four different third party measurement partners to track the performance of their ads around the world, see how their ads are comparing against similar ads running in the world of print and more. For print-based marketers, this also thankfully means that the reverse is true, too. Even if you don’t heavily advertise on Facebook, this new model is still something to pay close attention to because of the metrics at play. It’s another example of the ever-important concept of “pay attention to what is working online and use it to strengthen the foundation of your print campaigns.” Thanks to Facebook, this just got a whole lot easier. By giving advertisers the ability to compare a successful Facebook ad to other elements of their campaign like print, people who DO happen to be heavy print advertisers can essentially come in from the opposite angle and learn just as much. It’s all a matter of perspective – the marketing mix modeling portal can be used to look at one of your successful print ads, compare it to ads that are running on Facebook and use that actionable information to feed back into the print campaign to help achieve your desired outcomes. Print and digital advertising have historically been measured in very different ways, but thanks to Facebook we just took a big leap closer to a uniform standard that can be used in both situations. You can use the Facebook MMM Portal to see how impressions reach and other metrics translate into the real world and back again. Less than a decade ago, one of the world’s largest transport networks was simply an imaginative flicker in the minds of two men trying to hail a taxi on a cold Paris night. After failing to snag a car, the two men came up with an idea of an on-demand taxi service at the touch of a button. What began on a snowy evening in France quickly turned into an app to request luxury sedans in a tiny handful of the world’s most cosmopolitan cities. Soon it spread to include different types of rides, package and even food delivery in nearly any city on earth. That app was Uber. Uber is now one of the world’s richest start-ups. Along with other innovative digital companies such as Airbnb, Snapchat, Netflix, and even Buzzfeed, Uber has grasped a powerful disruptive strategy that has brought it financial and scalable success in a short amount of time. Disruptive businesses such as these can pick out and then act on trends before they become a trend, building a niche in a market that many people haven’t even discovered yet. 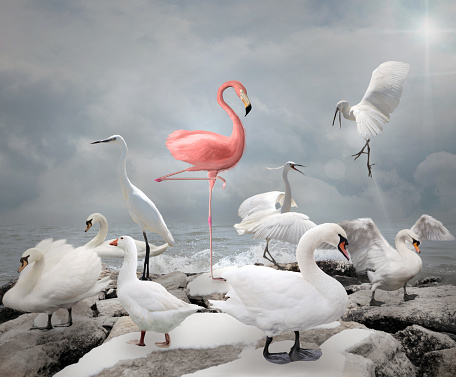 Follow these six tips to learn some disruptive strategies that will help to differentiate your business and set it up for future growth. Get to know what is happening in the world of all things digital and tech, even outside of your own industry. Something that can revolutionize your business might come from a spark of something you’ve noticed in a different market or business type. Often successful companies are the first ones to take on changes and innovations and to use them to their advantage. Don’t be afraid to step out on your own when trying something new. Businesses can no longer rely solely on traditional forms of advertising. Combining your marketing channels to include print, as well as digital sharing and promotion can be the easiest and quickest ways to reach potential customers. Stay aware of what your competitors are doing and be prepared to match their innovations with yours. Uber and the like are successful for their ability to connect with customers instantly. Listening to your customers helps to gauge demand and enhance the consumer relationship. With the rise of social media, customers are developing increasing expectations for transparency from businesses. Forming a connection with your clients will add to their loyalty and trust of your company. With constant lines of communication open to your customers, you can also respond quicker to real-time changes in the market, safeguarding you from future pitfalls. Digital data provides you with the tools and metrics to see how and where your customers are coming to awareness and consideration of your services or products. 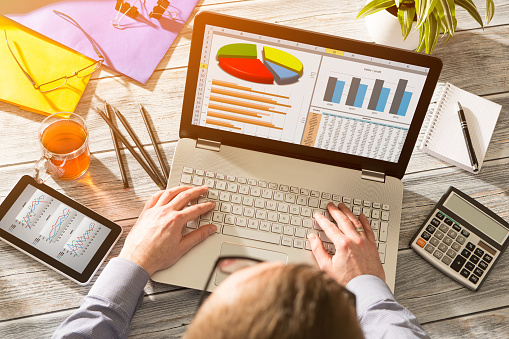 Understanding and using data effectively can make the difference in building and maintaining new business and answering needs within the market. If you think that you can comfortably stop nurturing your leads as soon as they make that ever-important sale, you’re only seeing one small part of a much larger and more important picture. The fact of the matter is that you can NEVER nurture your leads too much for a variety of important reasons. Lead nurturing is an essential part of any business, but judging by some recent studies, it may be more important than you think. According to Gleanster Research, as many as half of all the leads coming into your business may be qualified, but they’re not yet ready to buy. Nurturing is perhaps the single best way to make sure you’re able to convert as much of that 50% as possible into a sale. To make things more interesting, research from InsideSales.com shows that between 35% and 50% of all sales go to a brand that responds to a customer FIRST. This means that even if you know you’re working with a qualified lead AND you know that they’ll eventually be ready to buy, they may not buy with YOU at all if you don’t have a timely presence in their life. That, in a nutshell, is why lead nurturing is so mission critical to your organization. If you’re not nurturing properly and using timely marketing collateral to help usher someone down the sales funnel, you may be doing little more than perfectly setting someone up to make a purchase with one of your competitors. Consumers want to be loyal to a brand. However, they’re also loyal to themselves and their own situations first and foremost. If you think that just because you’ve ushered a lead down the sales funnel and convinced them to make a purchase that you’ll have them forever, you’re sadly mistaken. And, unfortunately, this is one mistake that you’re likely to pay dearly for. Remember that “making a sale” is NOT the only benefit of consistent lead nurturing. According to research, leads that have been nurtured experience a 23% shorter sales cycle than those who have not been. Nurturing over time (as opposed to just in the beginning of your relationship) can even increase your revenue over the next six to nine months by as much as 10% or more. Remember that a constant and consistent nurturing gives way to perhaps the biggest benefit of all: retention. 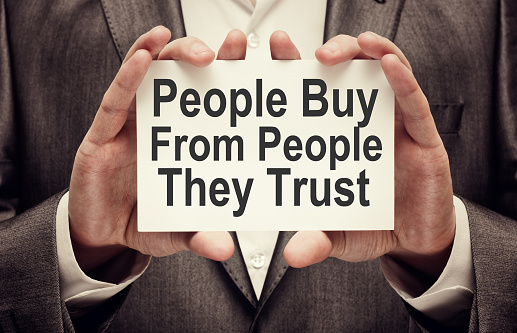 According to one study, it costs 500% more to bring in a new customer than it does to keep a current one. Likewise, the cost of bringing a new customer up to the same level of profitability as one of your old ones is up to 16% more. All of this is to say that by adopting the mantra of “I can never nurture a lead too much” today, you could be saving yourself a tremendous amount of money tomorrow. Nurturing a lead to the point where you’ve made a sale is important, but this is not the point where your story ends. Consistently nurturing your leads even AFTER a sale will continue to pay dividends over the lifetime of your relationship with that person. The benefits of retention versus bringing in new customers alone should be more than worth the effort you’ll need to make. In a town with lots of industries and choices of careers, three brothers grew up and began to pursue their paths in work. Based on their father’s wisdom and teachings, they all decided they wanted to work in a field that would eventually let them start their own businesses. The oldest became a lawyer. The middle brother became an accountant. The youngest brother, however, didn’t want to be an office professional but, instead, enjoyed food, so he became a cook. All three left home, set off to pursue their goals, and wished each other the best. The years passed and the lawyer made a lot of money, but he was always miserable and in debt. Everything about his job was about fighting or arguing, and eventually, he lost his own marriage. The lawyer was regularly complaining about his work whenever asked. The middle brother found himself living a life of stress. He chose to be an accountant because he thought it was a safe career path for income, but he found himself always under extreme pressure to complete his work and make sure it was accurate. The stress became so intense the younger brother was regularly sick and became a prime candidate for serious health problems before he was middle-aged. The younger brother focused on what he wanted, learning how to be a cook. Every day in the kitchen was where he wanted to be, so it never felt like work. 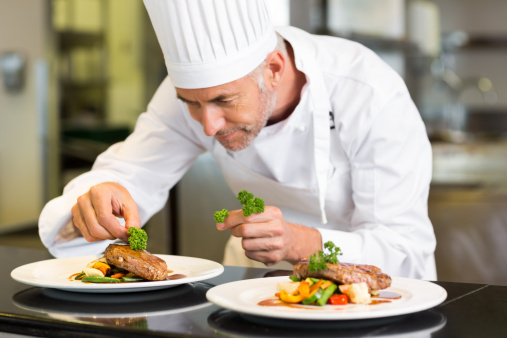 His enjoyment quickly increased his skills in cooking, and soon he became a head chef. He was doing so well he chose to open up his own restaurant. It wasn’t the biggest place, and it wasn’t the most expensive. However, the youngest brother loved his job, and that made a difference in his food, his staff, and the experience of his customers. Which Brother Had the Right Idea? Essentially, the best place to be as a business or business leader is to love what you do every day. If you’re not happy in your work, your market position or your role, you will never be able to manifest your full potential. Happiness and satisfaction are key elements of success, especially for business leadership who look for someone to follow and emulate in their own tasks. Sure, your business can have some immediate success, as in the case of the lawyer brother, but ultimately, the angst and frustration catches up with everything and becomes a psychological burden in the workplace. Don’t be that older brother. Find your love and make it come to your career and your path. You will be happier, your productivity will be higher, and staff will follow your lead.